Users can reduce eyestrain and physical fatigue by adjusting the monitor to create their own most comfortable work environment. 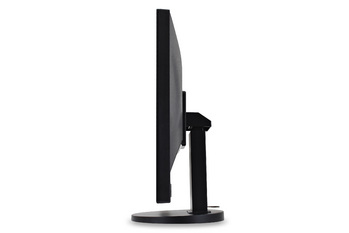 The VG2433-LED is designed to maximize comfort and productivity with advanced ergonomic technology. This fully ergonomic design offers over 10cm of height adjustment, 360? swivel, and a tilt angle from -5? to 25?. Experience the most amazing clarity and detail for any of your computer applications, Microsoft Office Suite operations, or for enjoying the latest multimedia entertainment. 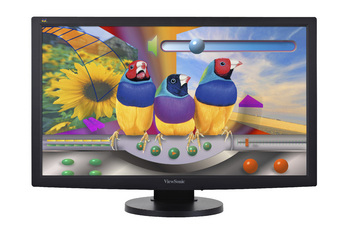 The VG2433-LED features full HD 1920x1080 resolution to ensure excellent pixel-by-pixel image performance. Additionally, this 16:9 large screen allows the user to operate multiple windows side by side, thus facilitating a more efficient work environment. The superior dynamic contrast ratio of 20,000,000:1 delivers a broader range of grayscale, with darker blacks and brighter whites, to ensure all images displayed are rich and detailed. An extremely fast 5ms response time results in crisp and clear video performance. 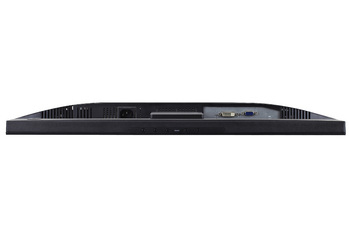 Experience digital broadcast-quality, full-motion video with razor-sharp images that never blur. ViewSonic's proprietary Eco Mode function is built into all LED displays to provide setting options to "Optimize" (75%) and "Conserve" (50%). Both modes reduce display brightness and conserve up to 40% more energy. Eco Mode adjusts brightness and improves visibility, especially in low ambient light, to reduce eye fatigue and prolong display lamp lifetime. With Eco Mode, replacement expenditures are reduced while practicing eco-friendliness. Accurate and consistent color performance is essential for professionals in graphic design, video editing, and other multimedia related environments. With built-in sRGB color correction technology, the VG2433-LED reproduces images in their original and authentic colors.